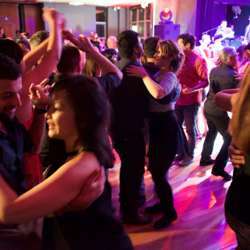 You must be a member of the Sydney Latin Dance Group to attend this activity. Would you like to join this group? Join us for an evening of Latin dancing at this vibrant venue. And if you're not too confident on your dance steps, not to worry, with a bit of luck, a few of our more experienced dancers will be there to lead you onto the dance floor.